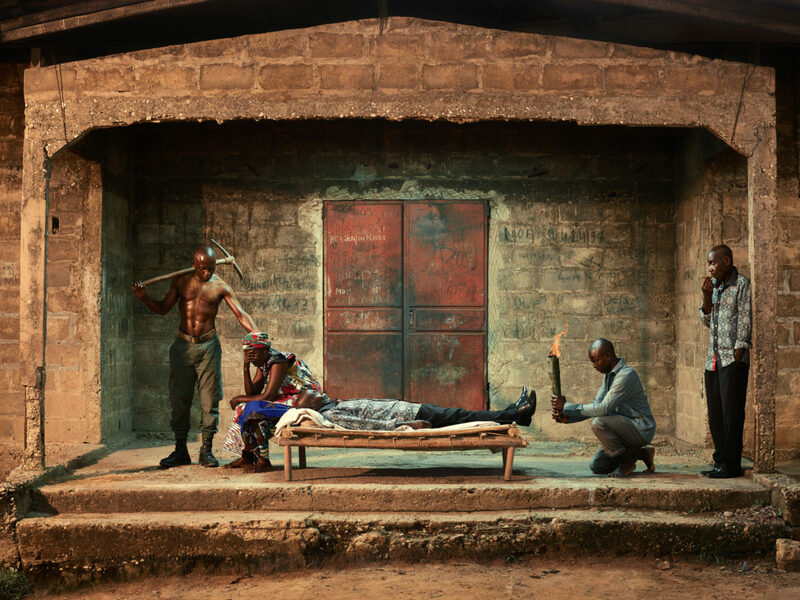 Adapted for Congo Tales by Congolese philosopher S.R. Kovo N’Sondé and award winning author Wilfried N’Sondé, and put in print (in English, French and Lingala) for the first time in Congo Tales. In the deep heart of Africa lies a tropical rainforest second only in size to the Amazon – the Congo Basin. It measures 500 million acres, spans 6 nations, and is home to some of the largest swaths of intact tropical rainforest in the world, with the pristine Odzala Kokoua National Park as crown jewel. 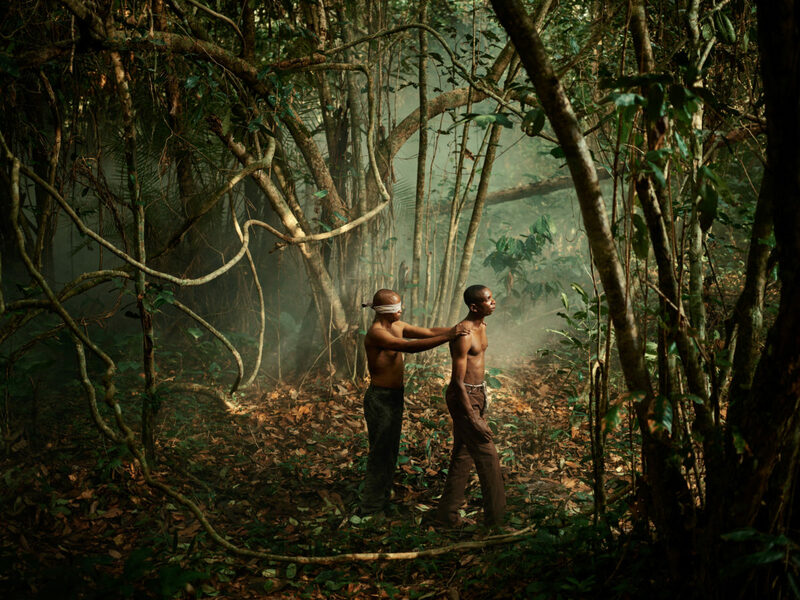 Known to ecologists as the world’s second lung, the Congo Basin is the Earth’s other Amazon – as vital to preventing runaway Climate Change as the Brazilian rainforest and as vulnerable to deforestation and abuse. 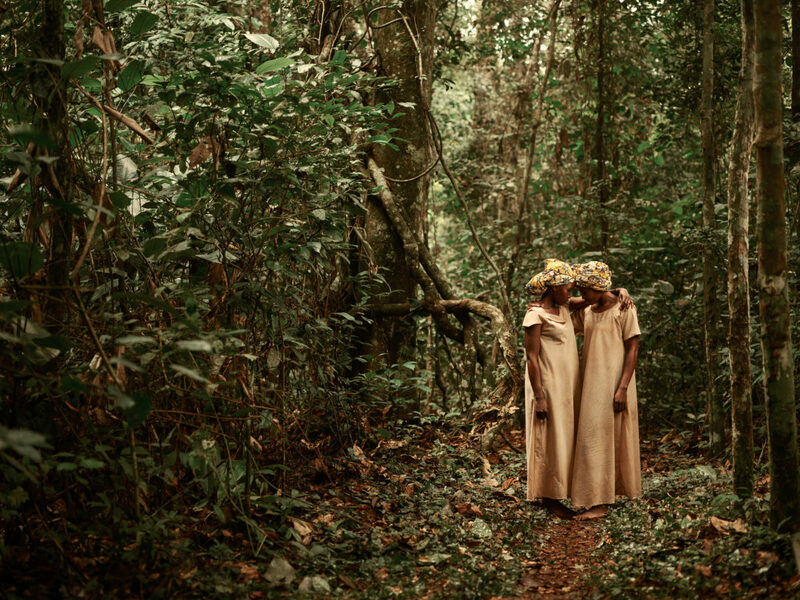 Yet the Congo Basin falls far short of the Amazon when it comes to the world’s awareness of it as a major player in the global environment, a cathedral of nature’s treasures, and a stopgap against looming ecological catastrophe. 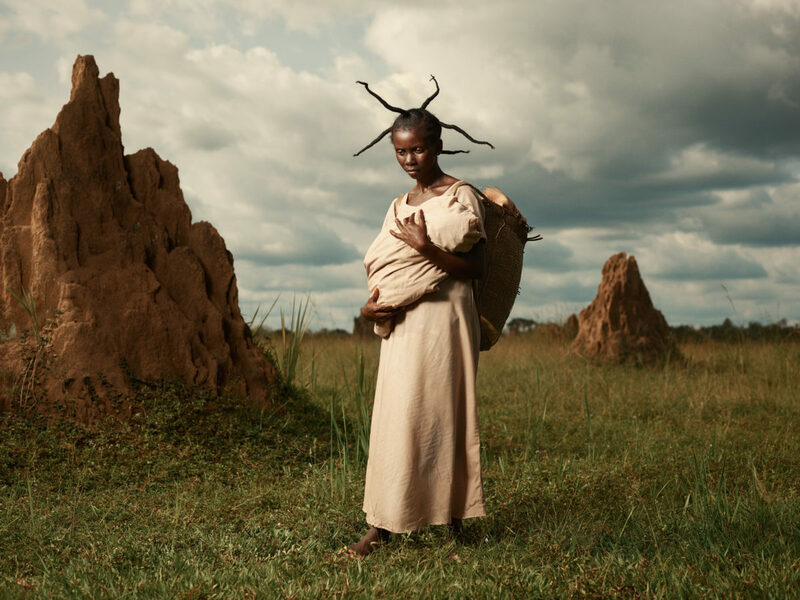 Congo Tales (Prestel, November 15th, 2018) is intended to help solve this lack of awareness, and help create a conservation infrastructure for this critical pillar of the world’s fragile ecological balance. 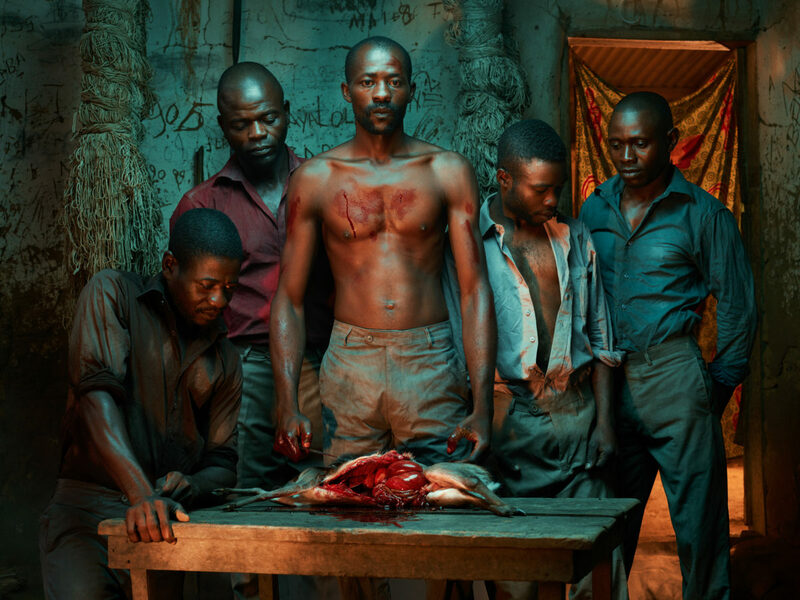 Upturning the traditional conventions of fear-based environmental messaging and the portrayal of Africa solely as a place of plague and war, Congo Tales takes a completely different approach to communicating the urgency of conservation efforts in this region. 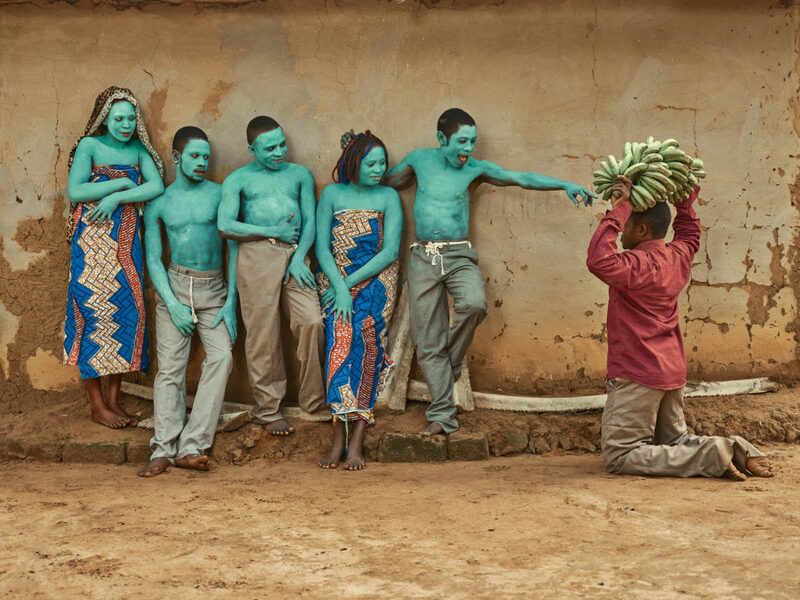 In this groundbreaking photo series that was 5 years in the making, national Congolese who live in the Mbomo district of the Congo Basin staged their never-before recorded mythology for fine art portrait photographer Pieter Henket (Lady Gaga, Eddie Redmayne, Mary J. Blige). 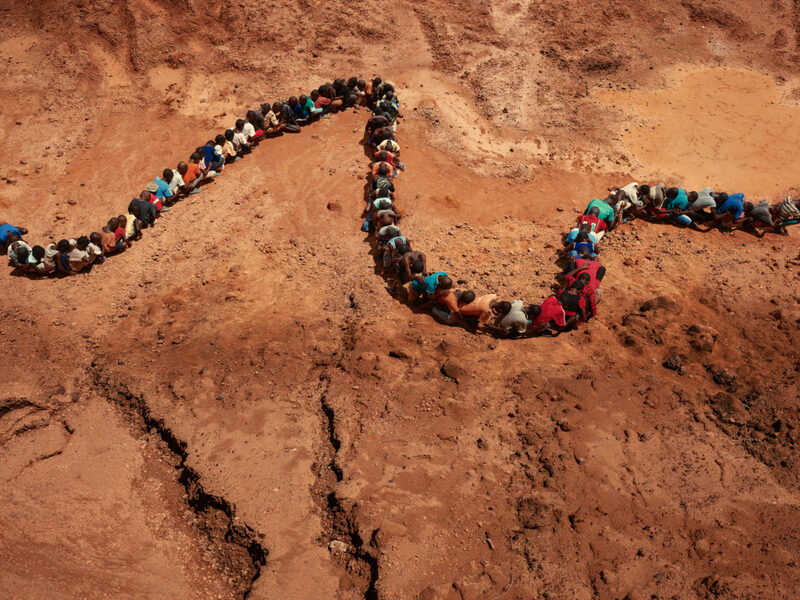 Henket’s portraits – of dozens of children forming the shape of an Mbomo (or Boa Constrictor); of over a hundred Congolese women assembled at the border of the forest; of Congolese men on the hunt for a mythical bird – make the Congolese, their myths, and the rainforest the stars of Congo Tales, and communicate the magic and mystery of this little understood place, and its incalculable value to the planet. 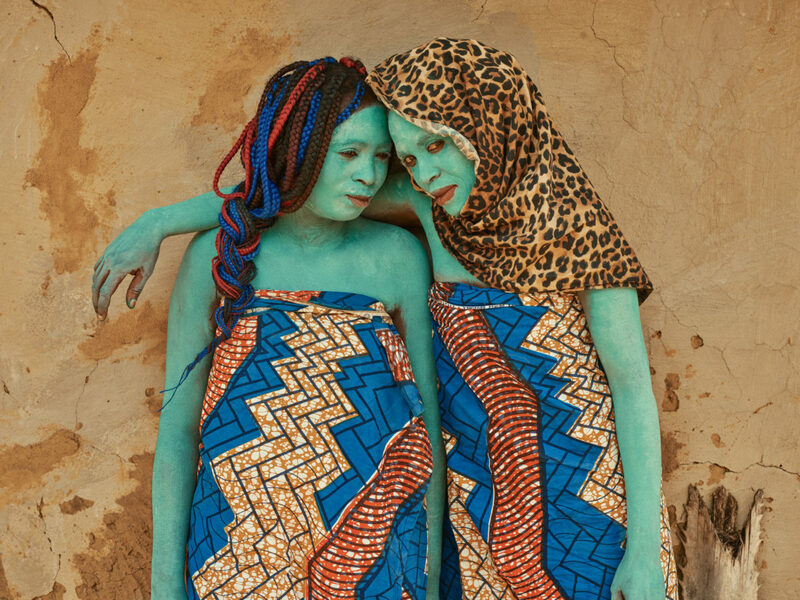 In the book, editors Eva Vonk (who spent 3 years working closely with people in the Mbomo district to record their mythologies) and Stefanie Plattner (who produced the project) delve into and reveal the wealth of the Congo Basin and its people, illustrating both with Henket’s cinematic and surreal portraiture of the Congolese depicting their legends, tales and lore under the canopy of ancient rainforest from which they sprang. 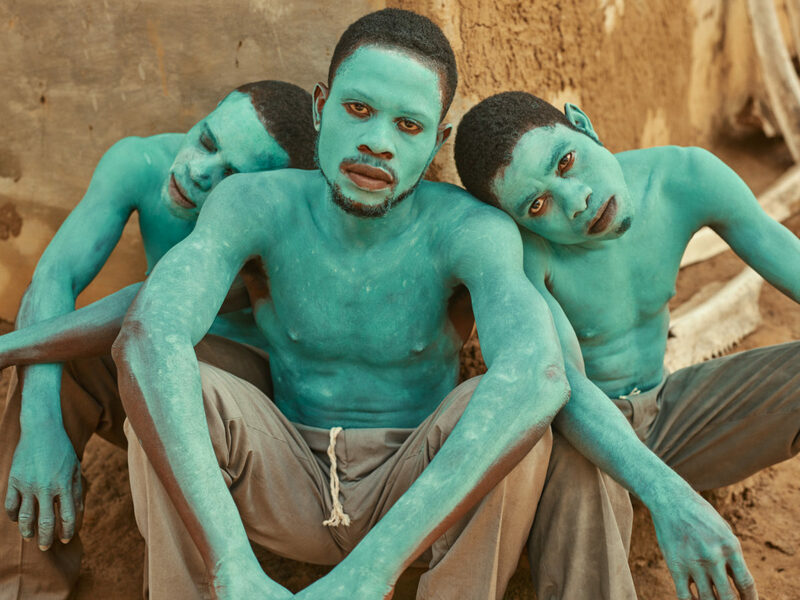 Channeling the primal heartbeat of one of the world’s most powerful ecosystems and the people who call it home, the mythological tales of the Congolese – of supernatural forces in control of life and death, of ritualistic initiations into adulthood, of the laws of nature that lie outside the laws of people – are revealed as a treasure trove of universal wisdom that is both existential and pragmatic, with the unspoiled Odzala Kokoua National Park as stage and actor. A groundbreaking book of scholarly anthropology that calls on the work of Joseph Campbell and the Brothers Grimm, and a captivating work of art and photography, Congo Tales is a feat of innovative environmental messaging and cross-cultural and cross-continental collaboration intended to both prevent the loss of this all-important bastion of nature, and reveal its priceless value to the world and our communal future in it. Henket’s signature style takes inspiration from the use of light in 17th Century Dutch Golden Age painting, known best by Rembrandt’s The Night Watch. 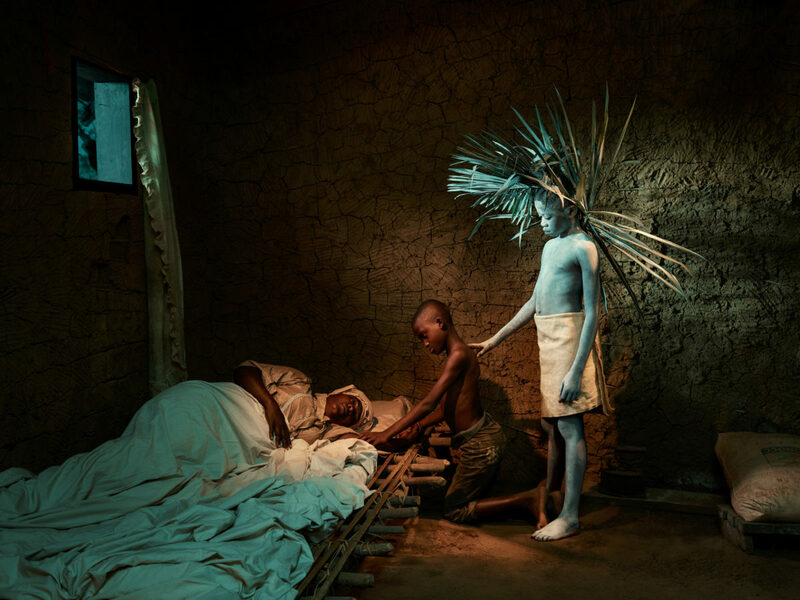 Henket, who grew up in The Netherlands, used powerful battery- powered strobe lighting in the rainforest to evoke a similar effect, thus rendering a surreal finish appropriate to the mythology of the Congolese. 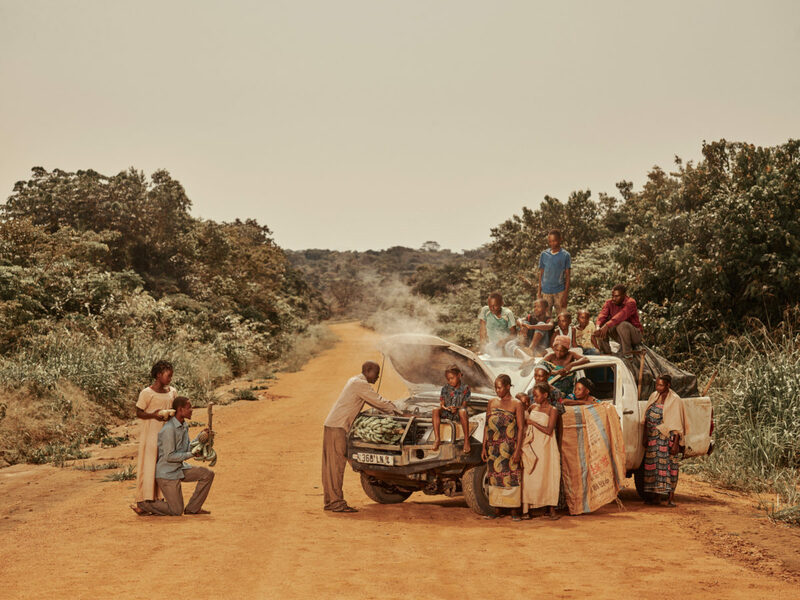 Proceeds from the sale of Henket’s Congo Tales photographs at Christie’s in January, 2019 go back to supporting the recording of Congolese legends and lore, and to similar story-telling projects in other unsung parts of the world through Tales of Us.